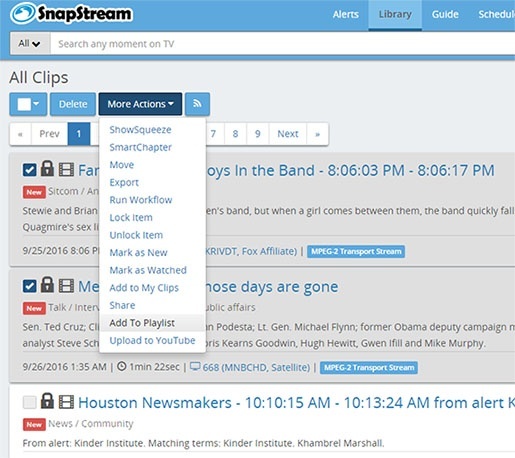 In my last post we took a look at some of our most popular resources for using SnapStream. SnapStream cheat sheets, how-to pages, and help file are great resources to get comfortable using the software. In this series of posts we'll take a look at some of the more advanced features that can be added to your SnapStream workflow to take full advantage of the software's power. In our first post, we'll take a look at playlists and merging, an incredibly helpful tool for presenting the TV clips and recordings you've created with SnapStream. Now that you've mastered the art of clipping, often the next step will be reviewing the clips. SnapStream's playlist feature allows consecutive playback of two or more clips or recordings. This is great for meetings, lectures and presentations where you need to review or discuss multiple recordings. SnapStream even gives you the option to merge all of your recordings into a single clip comprised of all of the recordings in your playlist. Follow the steps below to create a playlist and a merged video. 1. Simply select the media you would like to add to the playlist, choose "More Actions" and select "Add to Playlist." You will be prompted to select a name for the playlist or choose a pre-existing playlist. 2. Selecting "Playlists" in the Library will show you all of the different playlists that have been created. To review the recordings, push the button on the playlist. Playback of the first recording will begin in the webplayer. To select between playlist items, use the and buttons. 3. To merge all recordings in a playlist, click and select the "Merge" button. You can choose the file format, target quality, tags and title of the merged file before you begin the merging process. 4. Once the merge has been completed, the finished merged file will be in your clips folder. The SnapStream multi-viewer is one of the most powerful tools in the SnapStream software, allowing you to play back up to four in-progress or finished recordings simultaneously. 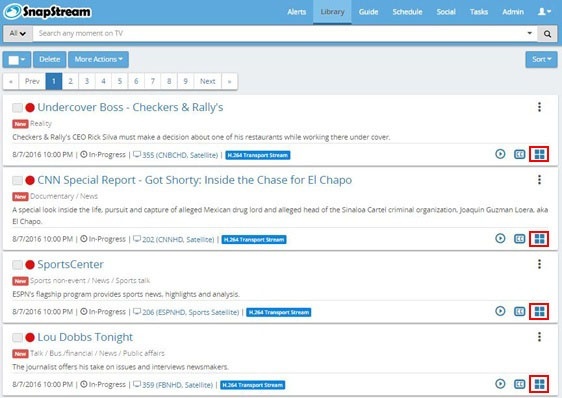 It's the perfect tool to compare different takes on a single topic or see how different networks cover the same breaking news items. All of the clipping, scrubbing and social functionality that you love in the SnapStream webplayer is also available in the multi-viewer. 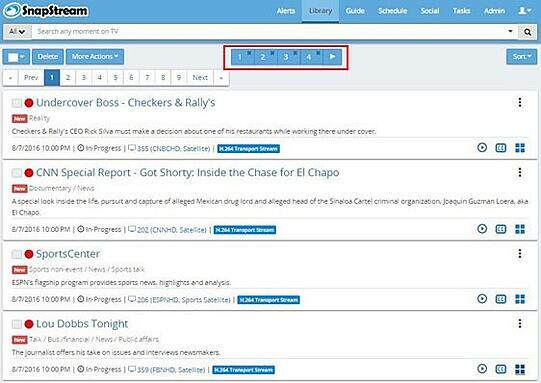 From the library, you can select up to four in-progress or finished recordings to be added to the multi-viewer. To add a recording, click the button next to the in-progress or finished recording. As you select recordings, they will be added to the multi-viewer slots at the top of the library. Mouseover each box to see the name of the recording that has been added. Once you've added up to four recordings, select the button. Audio will only be heard for the "active" recording. To change the active recording, click a different video window or click the title of a recording on the right side of the page. A light blue frame will surround the active recording. To sync the other playback windows to the clock time of the "active" recording, click the . Click the to sync all playback windows to the current time. 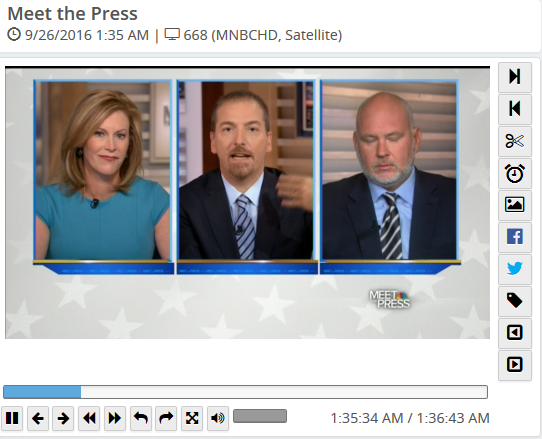 Clipping and scrubbing controls for each playback window are below the video. The Jump, Share to Facebook and Share to Twitter buttons are also available for the "active" recording. Whether you are comparing broadcast coverage or simply love to be able to watch four shows at a time (football anyone?! 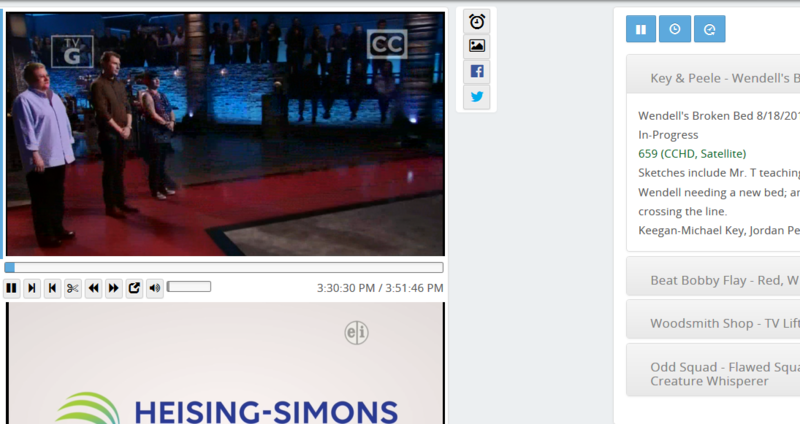 ), the SnapStream multi-viewer is a powerful tool to help you monitor television recordngs. Questions about the SnapSteam multi-viewer or other features of the SnapStream software? Reach out to our training team at training@snapstream.com or 713-554-4591 with your questions or issues.